Sorta fell off the wagon with my writing on here, sorry! So since my last post I have eaten three more of the American yoghurts and one soup. I think the reason I am not raving about it is because it was my night time snack waaaay back on Monday after I had some totally delicious banana cream pie for dinner. Yes you read that right lol I’m trying to feel guilty or ashamed by the fact that I had pie for dinner but I don’t, shrug. 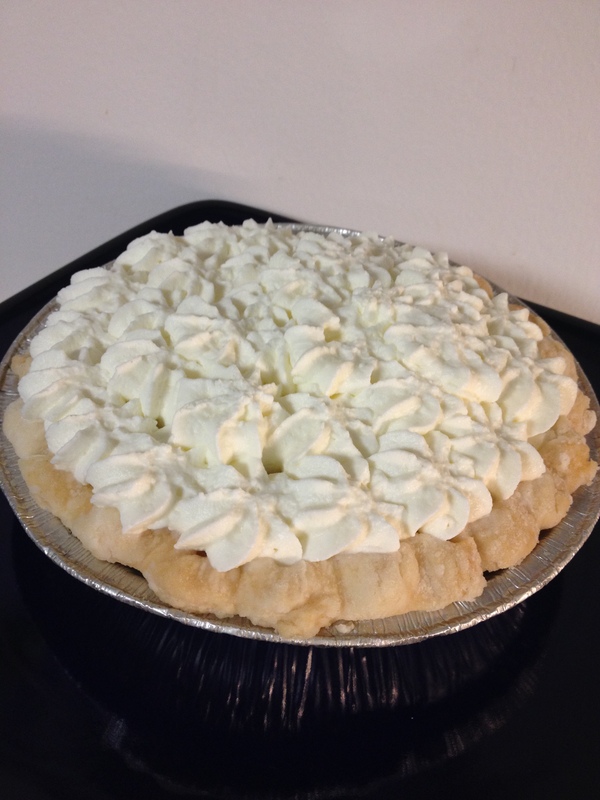 A friend at work made me a personal sized banana cream pie when she found out it is my favourite type of pie, how awesome is that! Boston Cream Pie! Because apparently I was on a pie kick lol Actually I pick them randomly from the fridge so I never know what flavour I am getting next. Not gonna lie, I had high hopes for this one since Boston Cream Pie is my favourite doughnut. 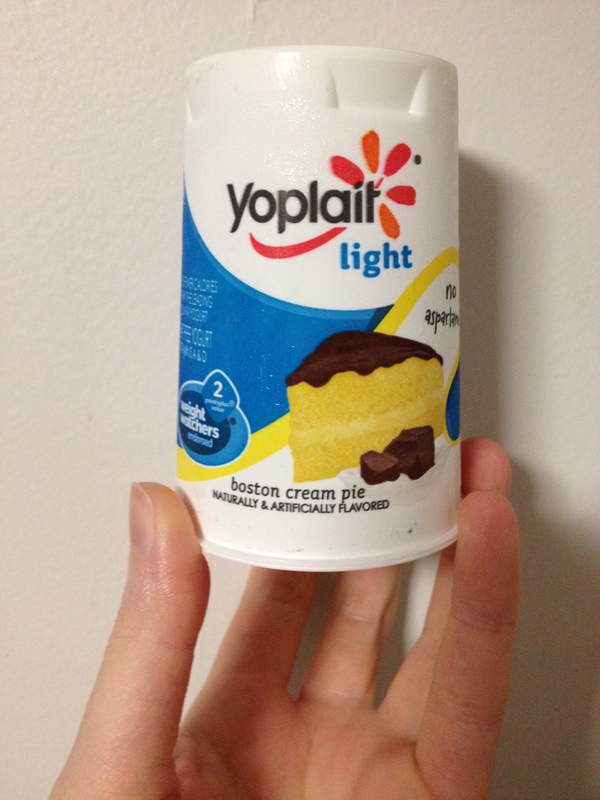 I’ve never actually had a slice of Boston Cream Pie so the only thing I had to compare the yoghurt to was the doughnut and well, no, just no. 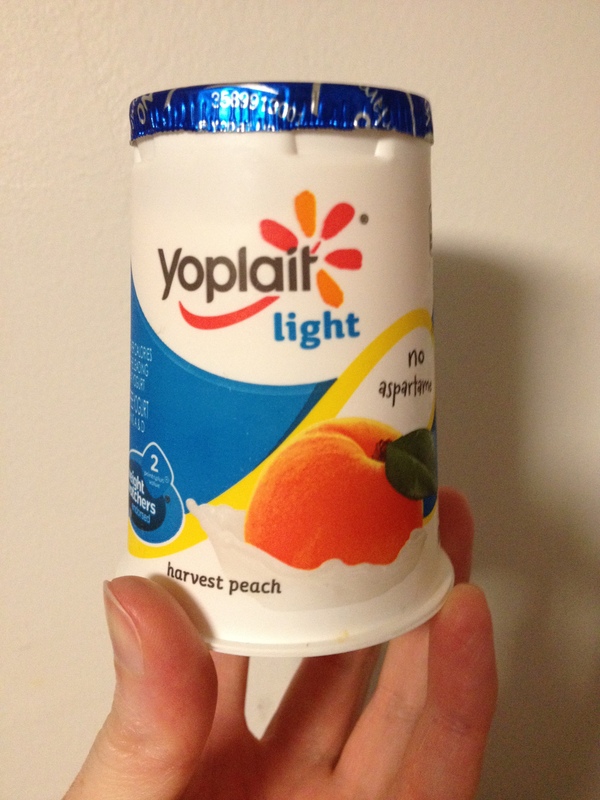 The yoghurt tasted so fake, it wasn’t at all like the doughnut, just spoonful after spoonful of artificial taste. It is like when you buy a cheap advent calendar at Christmas and the chocolate is the super cheap gross kind and it doesn’t even taste like chocolate even an itty bitty bit, it just tastes like chemicals. This yoghurt was like that. Yuch. I guess the only way it can redeem itself an itsy bitsy bit is that it is one of the Weight Watcher yoghurts so it is only 2 points. Things got better though, don’t despair! 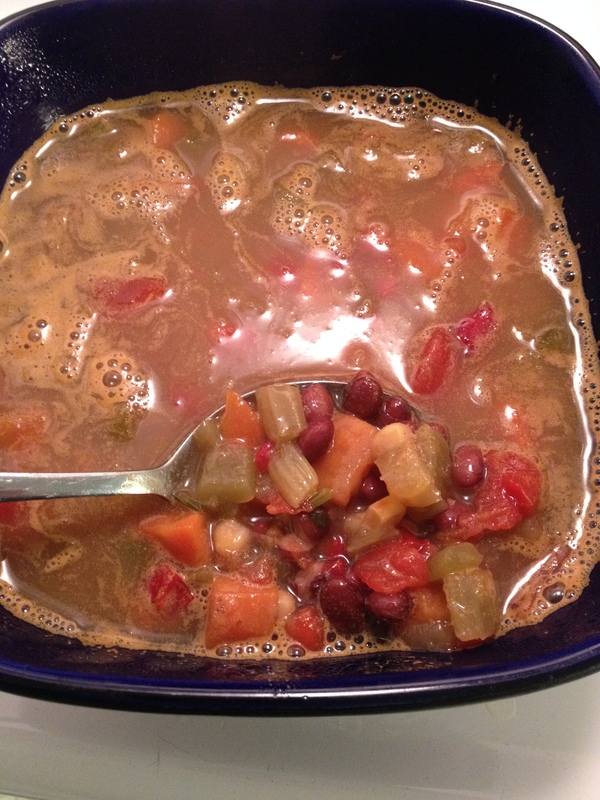 I had a soup, Mmm! I love soup! 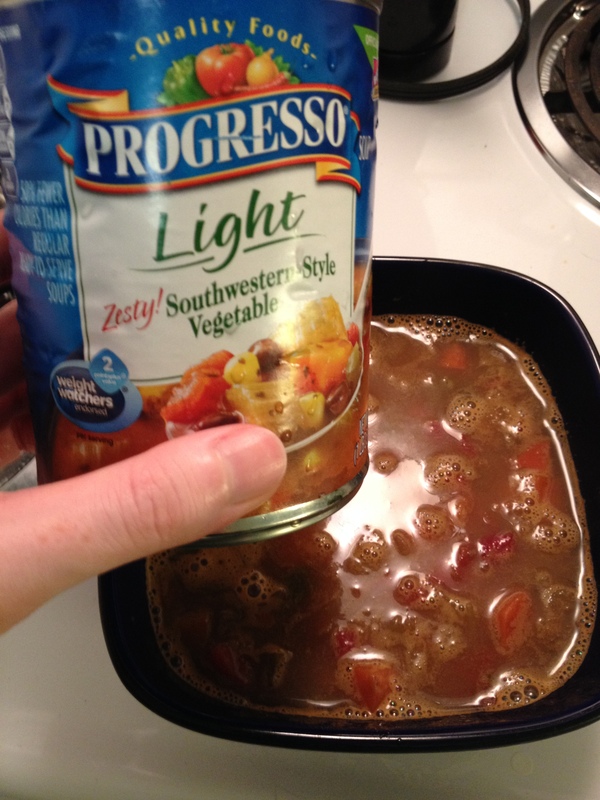 This is a Progresso Light Zesty Southwestern Style Vegetable soup and so far it has been the best of all of them. It lived up to the “zesty” without being overwhelmingly spicy and the vegetables were cut in to these nice big chunks. It was pretty much awesome and if this soup was sold where I live I would buy it frequently. 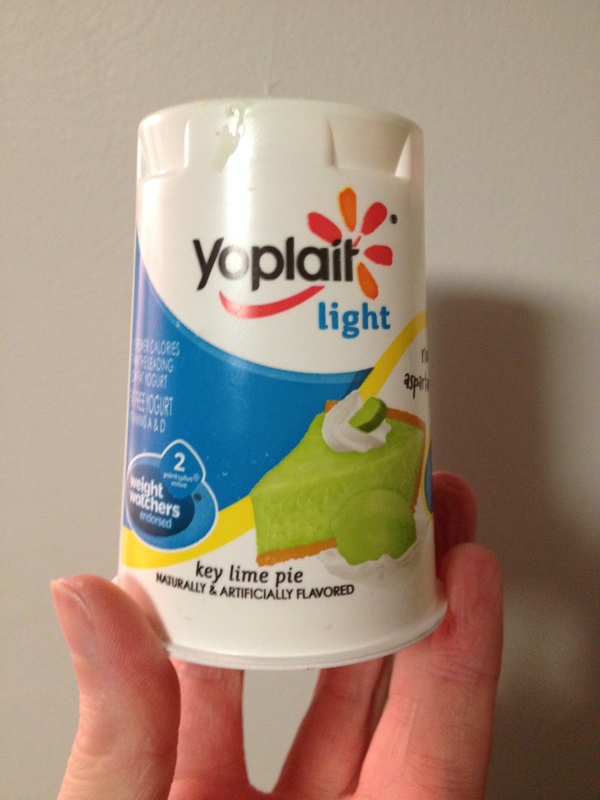 It is Weight Watcher endorsed and is 2 points a serving, there are 2 servings in a can.